This building was built in 1951. 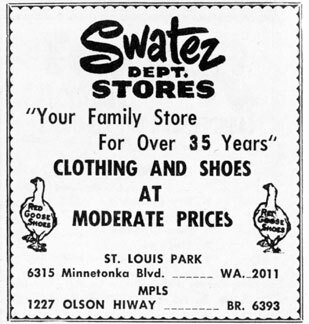 1951-56: Swatez Department Store, owned by Manny Swatez and managed by Chester Cicharz. (Picture in Dispatch November 6, 1952). Amos Heilicher may also have had an ownership interest. 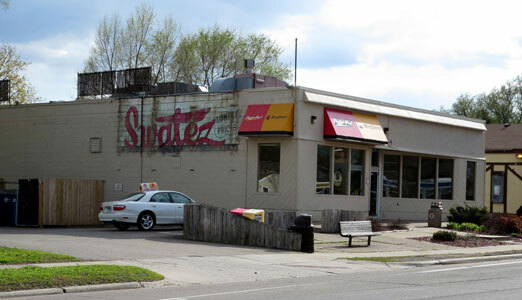 Manny’s father had started Swatez Dry Goods in 1919 in North Minneapolis. 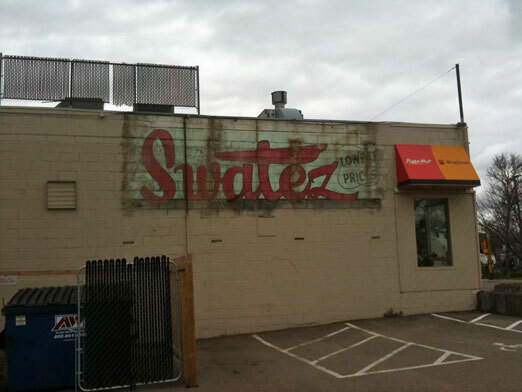 The store became Swatez Department Store, at 1227 Olson Memorial Highway. 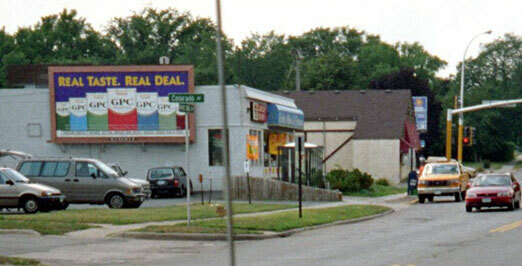 It closed at that location in 1971, displaced by the Glenwood urban renewal project. 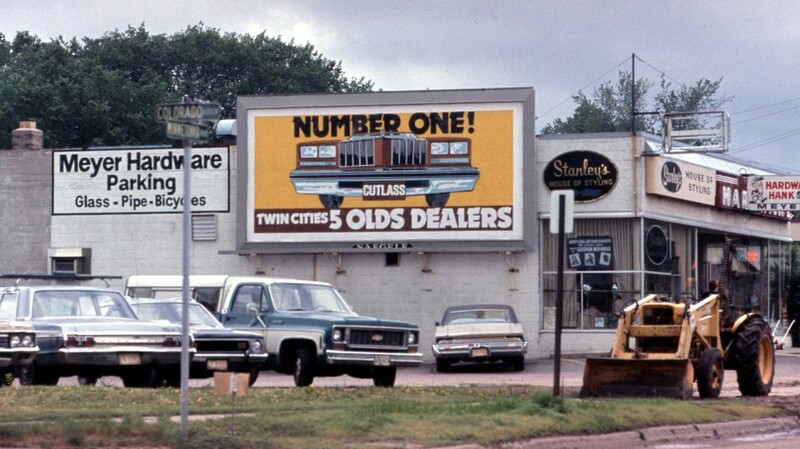 At that time Swatez purchased two Record Lane stores at 806 Nicollet Ave. downtown and in Knollwood. Swatez lived at 2560 Xenwood Ave. in the Park. The sign for the store, temporarily exposed in May 2014. 1966: Stanley’s House of Styling. This was apparently the place to go to get a great beehive hairdo. Russian ladies in the back engaged in aromatic cooking. 1951-58 Meyer Hardware (Picture in Dispatch November 6, 1952); Emil Meyer, proprietor. Ad in March 1951 issue of the Echo. 1980-86: The Park (True Value) Hardware. 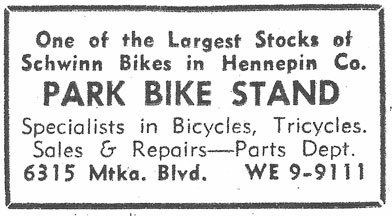 A puzzling ad in the March 25, 1981, Sun includes the words Grand Opening, but also says that March 29 is Park Hardware’s birthday. 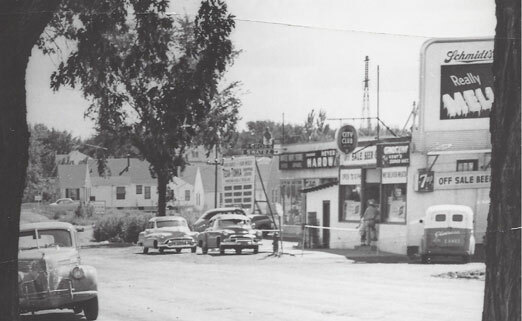 In this photo from @ 1951, the building is in the center. 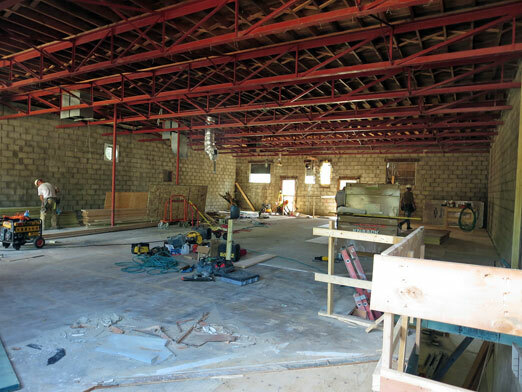 In the Summer of 2014 the building was purchased by the Oak Knoll Veterinary Clinic and gutted to become the Clinic’s new home. 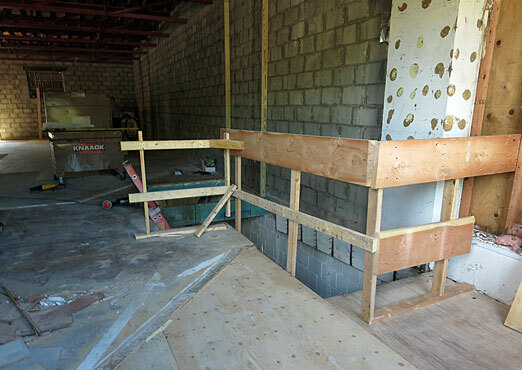 A look inside shows that it’s larger than it looks from the outside – and it has a basement.